Longer days mean dinner outside and provides the opportunity to create some tea cocktails with a spring flare. Each recipe provides a fun way to mix your tea addiction with a bit of evening fun. To brew the tea, use 1 tablespoon of the Hibiscus Isle tea and steep in water at 185 degrees for 3 minutes. Strain off the leaves and refrigerate the tea to cool it down. If you do not have time to allow to cool in the refrigerator, brew the same 1 tablespoon in 8 ounces of water at 185 degrees for 3 minutes and then strain out the tea leaves pouring the tea over 1 cup of mounded ice. The ice will melt, getting you the full 16 ounces of tea and the tea will be cold. In a pitcher combine the tea, tequila, line and agave nectar and stir. Serve over ice. To brew the tea, put 2 tsp of the Adirondack Berries tea into 12 ounces of boiling water and allow to steep for 5 minutes and strain off the tea. Put in the refrigerator to cool. If you do not have time to cool in the refrigerator, brew the 2 teaspoons of tea in 6 ounces or 2/3 cup of boiling water and then strain out the tea over a mounded 1/2 cup of ice. This will cause the ice to melt and cool the tea down immediately. In a pitcher, pour in the tea, and then add the remaining ingredients and stir. Assuming the beer and tea where both cold, you will not need ice cubes. Pour the gin into a container with a lid. Put the tea directly into the gin and put the lid on the container. You can leave the container out on the counter or put it in the refrigerator for at least 30 minutes, but it gets stronger if you allow it to go over night before removing the tea leaves. In a pitcher, mix together the gin, lemon juice and Agave Nectar and stir. This is a perfect drink to use the tea ice cubes with (Link). There are plenty of other teas that can be substituted in these recipes, so feel free to play and enjoy. 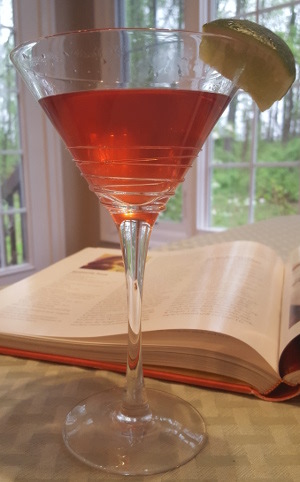 This entry was posted in Cooking with Tea, Tea Recipes and tagged coctails. Bookmark the permalink.